Providing 4 different useful tools, this heavy duty knife is just what you need in an emergency/survival situation. Featuring a serrated segment useful for cutting more coarse materials like rope or burlap, the 3.75 inch long clip point blade is razor sharp and up for any task- a contoured finger groove along the spine allows for the application of more force for that extra bit of cutting power. The 4.75" handle is well designed and carries three separate tools with a very bright LED flashlight joining the more familiar glass breaker and belt cutter. The LED is activated by a quick twist of the cap and shut off in the same manner. 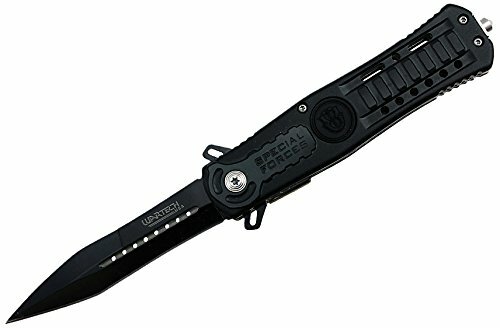 A raised pocket clip on one side of the handle makes it easier to slip on or off when needed while the reverse features the words "US Special Force" with an accompanying emblem imprint. 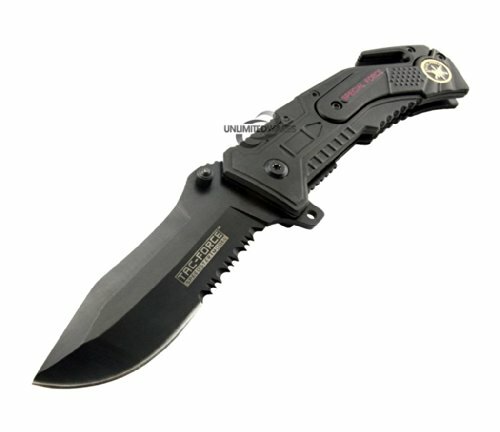 ""It's hard to find a better knife for a lower price than this top-of-the-line tactical folder from Smith and Wesson. 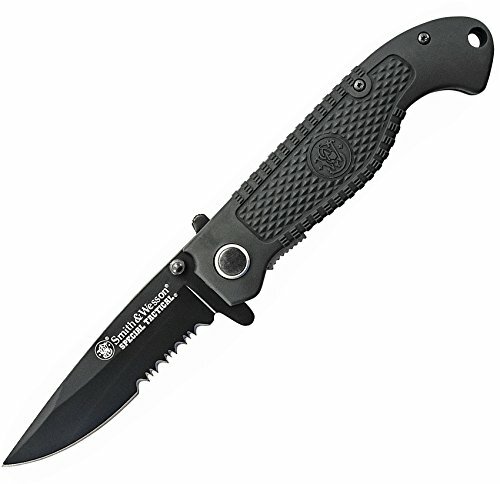 The partially-serrated drop point blade measures 3.5-inches, a length that allows it to handle almost any cutting situations, while its 3.5 oz weight means it will conveniently fit in your pocket. The ergonomically-designed handle ensures that you'll have stability and be safe from slippage, while the prestigious Smith and Wesson insignia branded on the handle gives your knife a professional, stylish look. Includes:- Lanyard Hole- Pocket Clip Specifications: - Lock Type: Liner Lock- Drop Point Blade - 7Cr17 High Carbon Stainless Steel - Handle Color: Textured Black ABS with Rubber Coating - Blade Length: 3.50"- Handle Length: 4.60"- Overall Length: 8.10"- Weight: 0.25 lb."" SNAKE EYE RESCUE STYLE ASSISTED OPENING KNIFE. 4.75" CLOSED. BLACK STAINLESS STEEL HALF SERRATED BLADE. POCKET CLIP. INCLUDES SEAT BELT CUTTER GLASS BREAKER. 7 different designs: Air Force, Army, Navy, Marines, Special Forces, Police, Fire Fighter. 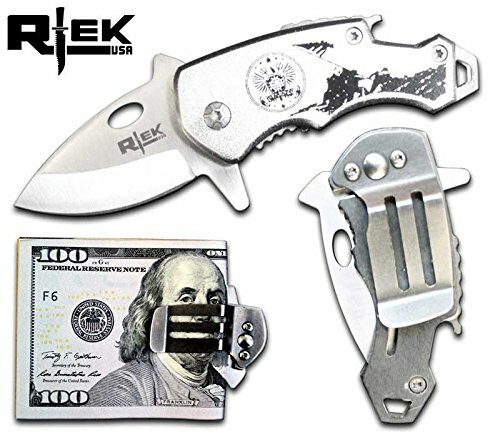 4.25" Overall Spring Assisted Pocket knife with money clip and bottle opener. 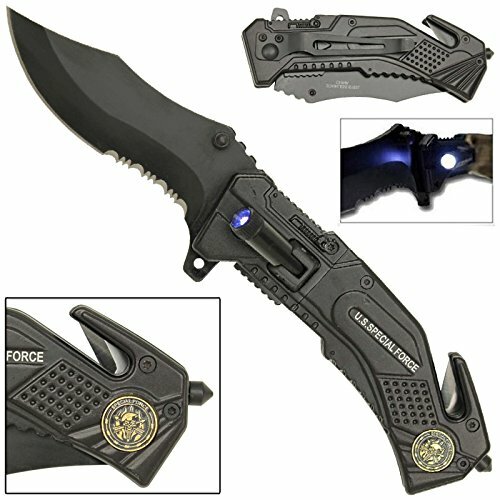 The Special Force Spring Assisted Knife is not only extremely functional, but also has a sleek design. 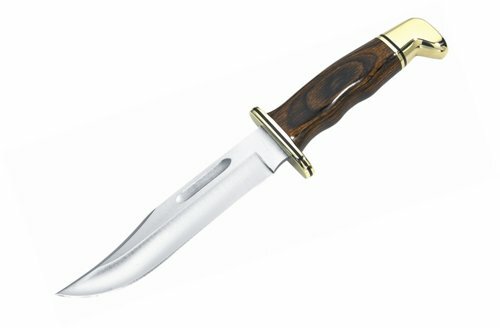 Made from high quality surgical grade steel, this is the perfect every day knife. It also includes a glass breaker for emergency situations. This gorgeous On Duty & Off Combo Set has the finest details and highest quality you will find anywhere! On Duty & Off Combo Set is truly remarkable. 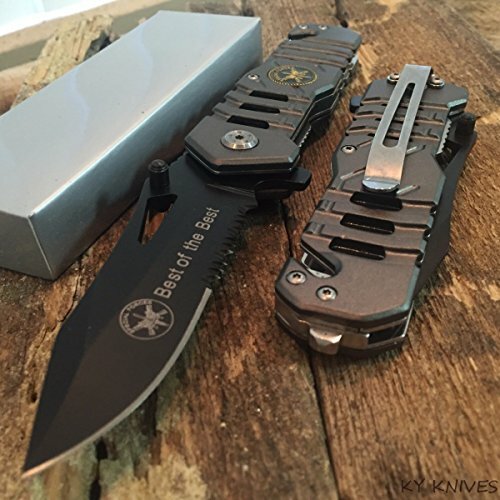 Product Details: Condition: Brand New Item SKU: SS-BRK-SWPROM1411CP Information: Includes one Special Tactical 4 5/8" closed linerlock. 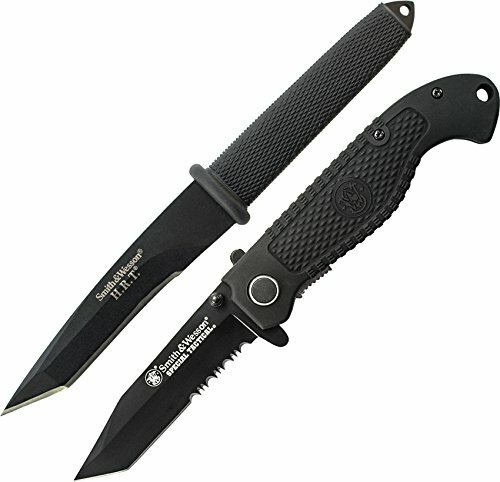 3 3/8" black finish 7Cr17 high carbon stainless partially serrated tanto blade with thumb stud and dual extended tangs. Black Kraton handles with textured inserts. Lanyard hole. Stainless pocket clip. Also includes one H.R.T. 9" overall fixed blade. 4 5/8" black finish 7Cr17 high carbon stainless tanto blade. Full tang. Black textured Kraton handles with guard. Lanyard hole. Black leather sheath with black stainless clip. 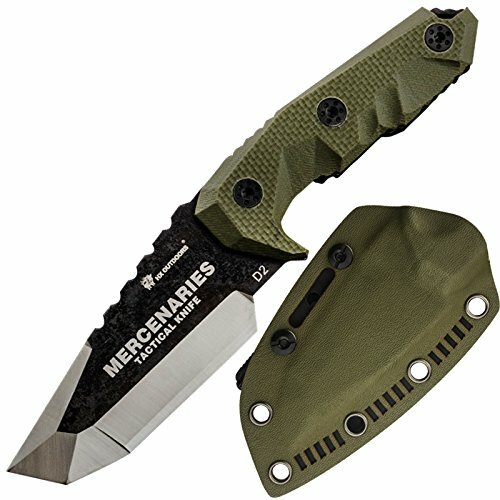 Looking for more Special Tactical Knife similar ideas? Try to explore these searches: Adult Roman Costume Accessory, Magnaflow 2010 Camaro, and Circle Upholstery Fabric.